Call or Click to Save on Cottage Insurance! For over 45 years, we've helped cottage and second homeowners in Ontario get the best coverage for their recreational properties and contents. 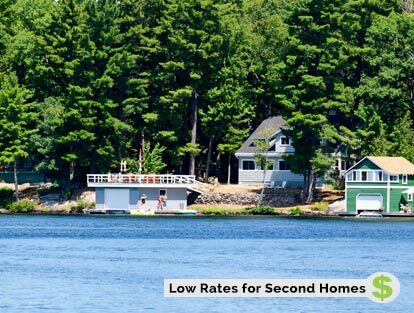 Our insurance experts can quickly find you the cheapest rates for your cottage insurance. Savings : Our experts will advise you on the many ways you can save on cottage insurance. They will also shop for the best price with the insurance companies we work with. Selection :You'll enjoy lots of choice with ThinkInsure. We are partners with 40+ insurance companies so we will shop and compare the best quotes to get you the lowest rate. Service : All ThinkInsure customers get a dedicated personal service representative to take care of their insurance needs. Our customers are very important to us and you'll get timely and professional customer service from ThinkInsure. Making Insurance Easy :We want to make insurance as easy as possible for our customers. From getting the best quote to getting the best service, we'll work hard to provide the best insurance experience for you. Start your cottage insurance quote online OR call us toll-free 1-855-550-5515 and we'll be happy to get you a quote or answer any questions you have. Savings Tip : Bundle your Cottage + Auto Insurance and save even more!. Lots of things that can happen at a recreational property or seasonal home can get exponentially worse if you’re not there. For example, water damage occurs – and isn’t immediately remedied. Or there’s a break-in – by either human or animal intruders – leaving your place more vulnerable. When it comes to a cottage or other vacation property, out of sight is never out of mind. That should apply to insurance providing coverage for the property too. You’ve perhaps heard that cottage and recreational property values in many parts of Ontario have more than doubled since 2000. Which, on one hand is great if you’re a longtime seasonal homeowner happy to see an increase in your valued investment. But don’t forget that an insurance policy covering, say, only half of your recreational property’s current value would not be great if you suffered a devastating fire requiring total replacement – at twice the cost of what you’re covered for. That’s worth a thought. This may not seem right because your home is likely worth more, you spend more time there, you have more contents coverage – but it’s your cottage insurance premiums that may well be higher. It boils down to the insurance costs being higher because the risks are greater at a more remote, largely unoccupied seasonal recreational property. For example, the threat of a property-destroying fire at a city home located close to a fire hydrant and served by professional firefighters is far less than that of a fire starting at a remote vacation property located a dozen or more kilometers from a fire hall served by a volunteer force. Cottage insurance can also cost more because many recreational property owners have a number of buildings – from bunkies to boathouses (and boats) – that require coverage. And probably the most significant factor is reconstruction costs associated with a remote property, which can require more costly transportation of labour and materials – especially if the cottage is of log construction requiring specialized skills… and is accessible only by water. The good news is that ThinkInsure makes it easy for you to compare cottage insurance quotes and choose the best policy. Coverage – and premiums – can vary widely among insurers, so your best bet for paying the lowest is by getting a range of quotes. We’ll do that for you – saving you money. Start your cottage insurance quote online OR call us toll-free 1-855-550-5515. Why is my Cottage insurance a "Named Perils" policy, and not a "Comprehensive" policy, like my home? Unlike insurance for your primary home, cottage or vacation property insurance is almost always provided as a "Named Perils" policy because of the risk associated with part-time occupation of your vacation home. The "named perils" are specifically listed risks such as fire, explosion or smoke damage. Certain risks such as vandalism or water damage may be more expensive to include in the coverage because of the part-time occupancy. While some cottage owners think that renting out their cottage requires them to hold commercial insurance, this is no longer the case. However, some also believe that simply having cottage insurance fully protects you when renting out a vacation home – which is also not the case. Your insurance broker can likely customize your cottage insurance policy to include rentals, sometimes without any increase in premiums. It's important, however, that your insurer knows your plans – before anything happens. 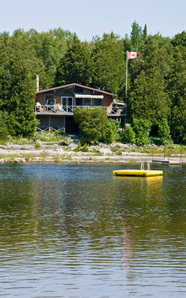 What’s the number one reason for an insurance claim at a Cottage or Rental property? The top cause of loss, according to insurers, is windstorms – the ones that bring trees crashing down onto your cottage roof. Hiring an arborist to check the trees surrounding your property could be money well spent – and cheaper than paying your deductible. What else is a common Cottage insurance claim? Plumbing failure is also a key cause of loss – which can be expensive loss when there’s no one around to attend to the problem. Making sure you add plumbing antifreeze to sinks, shower and tub drains, and toilets is essential to avoiding burst pipes. Isn’t the risk of fire a big contributor to the cost of Cottage insurance premiums? Yes, fire is of major concern, particularly when fire services cannot respond fast enough. (An industry standard for calculating premiums is if your property is within 13 km of a fire hall.) Yet when it comes to cottage insurance claims, theft and vandalism is a distant third, while fire is an even more distant fourth. Get a cottage insurance quote online OR call us toll-free 1-855-550-5515 and we'll be happy to get you a quote or answer any questions you have.